Presented by the festival artists, the MIGF Lectures provide students and all community members opportunities to expand their understanding of a variety of musical subjects. Each lecture is free and open to public. 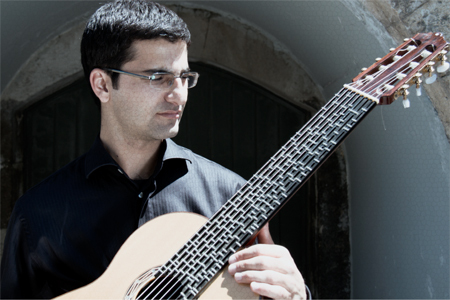 Tolgahan Çoğulu will present his award-winning instrument design microtonal guitar explaining its underlying concept and repertoire. 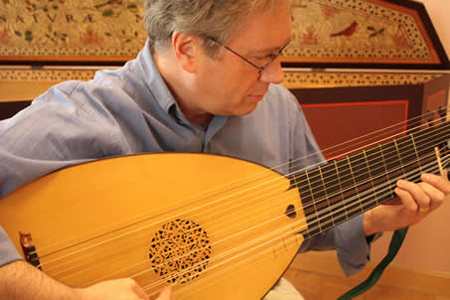 The first prize winner in the 2014 Margaret Guthman Musical Instruments at Georgia Tech, Microtonal Guitar was accepted and funded as a scientific research project at the Istanbul Technical University Dr. Erol Uçer Center for Advanced Studies in Music. All the frets of the microtonal guitar are movable in the channels under each string. Besides, any number of frets can be inserted into or removed from the fretboard. David Dolata will introduce the Encyclopedia of Tablature, scheduled to be released in 2017, containing 450+ essays on 40 types of tablature written by an international team of leading experts. After its release, the Encyclopedia will take its place as the only comprehensive reference source on tablature. The Encyclopedia is published under the auspices of the Centre d’Études Supérieures de la Renaissance/CNRS, the publisher of the famous series of books on French lute tablature, and Brepols in Belgium, and co-edited by Philippe Vendrix, John Griffiths, and David Dolata. Internationally renowned luthier Kenny Hill will present a lecture on Lutherie, Commerce, Music, Satisfaction. Mr. Hill has been exploring the vast possibilities of classical guitar as luthier, player, and composer. 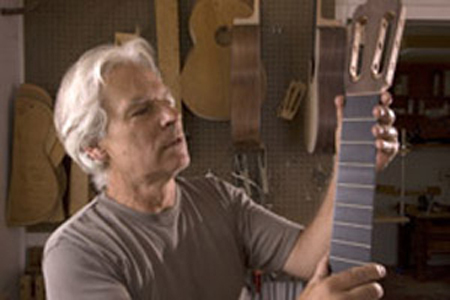 He has developed a large team of luthiers at Hill Guitar Company, as well as the import brand New World Guitar through his ground-breaking work in China. Kenny Hill is the recipient of Industry Leadership Award by the Guitar Foundation of America in 2015.